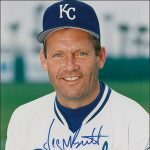 Royals Hall of Fame pitcher Jeff Montgomery begins his seventh season contributing to Royals broadcasts on FOX Sports Kansas City, serving as a co-host on “Royals Live” pre-game and postgame shows. 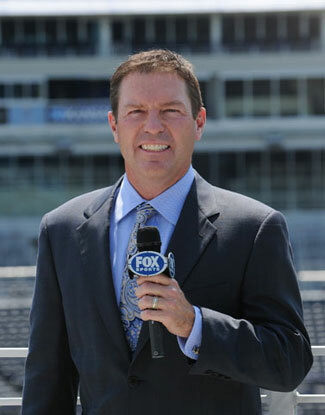 “Monty” also offers analysis in the broadcast booth during select games on FSKC. He spent 12 of his 13 big league seasons with the Royals and is the club’s all-time saves leader with 304. The three-time All-Star (1992, 1993, 1996) was the Rolaids A.L. Reliever of the Year in 1993, finishing tied for the league lead with 45 saves, matching a club record at that time. He also holds the club record for career appearances (686) and ranked ninth on MLB’s all-time saves list at the time of his retirement. 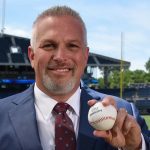 Montgomery also serves as the Vice President of Union Broadcasting, Inc. in Kansas City and has also contributed to MLB Network shows and broadcasts over the last two seasons. He and wife, Tina, have two daughters, Ashleigh and Kathryn and two sons, Connor and Spencer. Want to bring Jeff Montgomery to your next event? Please tell us a little about your event, and we will get back to you shortly!